SUKIYAKI | Want to explore Japanese food culture one step further? Specializes in Su-ki-ya-ki and beef steak, flagship store of Morita-Ya is in Kyoto. 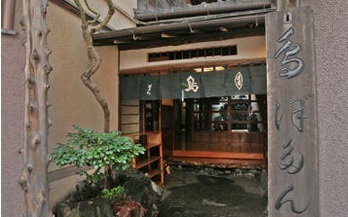 Morita-Ya is one of highly recommended restaurants in Ma-ru-no-u-chi area. If you are visiting newly renovated Tokyo Station and in the mood to explore Japanese unique food culture, you may want to include Morita-Ya, located right in the front of Tokyo Station in one of restaurant choices to eat. Some of my guests found Sukiyaki really delicious and others actually had wry grin. Japanese beef (wa-gyu) is cooked in brown sugar and soy source. Yes, it is sweet. And you dip sweet flavored beef in a very fresh raw egg. I love it! It is so good! But if you do not feel like exploring too much, Morita-Ya offers beef steak as an alternative. Botan is located at a historical landmark certified by Tokyo and is one of restaurants that I like to introduce to regulars who often visit Japan. There are no tables and chairs. At Botan you actually sit on the floor (tatami) and eat hot pot in Japanese traditional style. Botan has a quite different atmosphere from all the metropolitan, high-tech world that you experience in Tokyo.